What are most of the 08-year-old boys up to? Hooked to video games, cartoons, putting off their homework, and sleeping in every Saturday and Sunday? Well that’s not Ikshan Sanket Shanbhag. This 08-year-old young boy exhibits maturity and discipline well beyond his years. Ikshan, son of 2-time INRC champ, Sanket Shanbhag, took us to surprise when he took his screaming Yamaha PW 80 on the track. Team Tech’nWheelz took an opportunity to ask Sanket Shanbhag about his kid’s racing, busy schedule, and future goals. When was the first time Ikshan started riding a motorcycle? 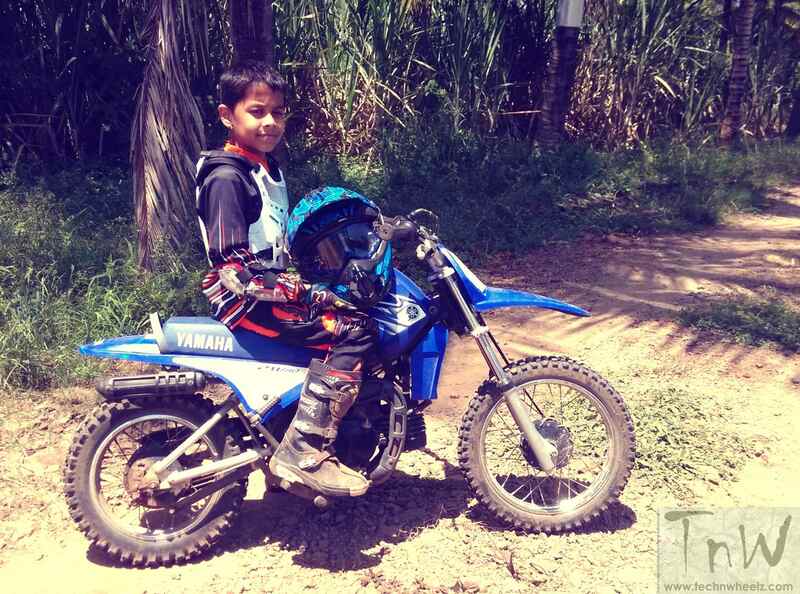 Well, Ikshan started riding motorcycles at the young age of 05 and his ride then was a Yamaha PW 50. Was Ikshan’s interest getting into motorsport racing a surprise? Not to be surprised. He is the 3rd generation Shanbhag to be involved in Motorsports. Myself, and his grandfather… are 02 time National Champions in the Indian National Rallying Championship in the 4×4 and 1600cc saloon car category. So getting into motorsport was a natural progression for him. Support from his mom and relatives? Motorsport been a risky sport and at this little age…. Everyone in the family right from his grandparents, parents, elder sister are supportive in what he does. We are fully devoted to his passion and are committed to seeing him on the pinnacle of the sport he peruses. Is Iskhan undergoing any training? He has been enrolled in the I-Land Racing Academy located at Wadala IMAX multiplex. 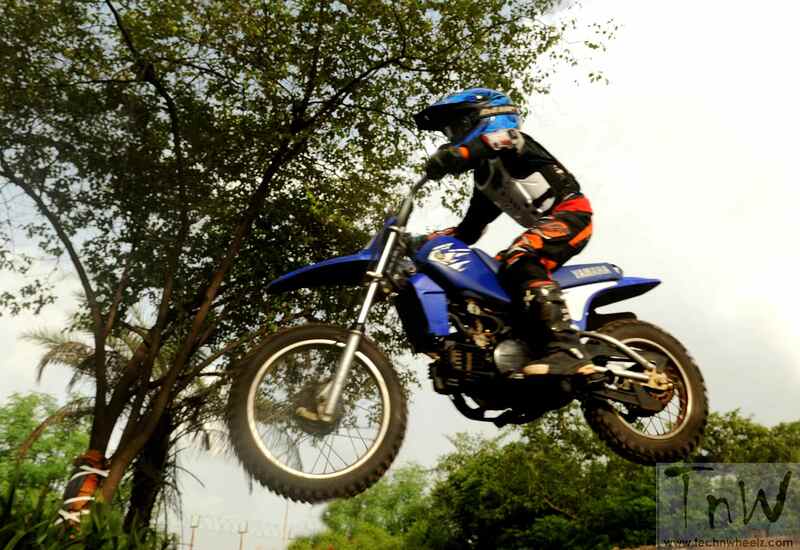 His coach is multiple time National Motocross Champions Rustom Patel and his brother Zubin. He makes weekend trips to Mumbai for practice and is also practicing on various motocross tracks in Maharashtra. How does Ikshan manage both his passion in motorsport racing and education? He has a fixed routine. An hour of exercise everyday which includes running, cycling and circuit training. He is studious and scores good marks in school tests. His 1st race was in the last round of the Pune Supercross held in the month of December 2014 on a KTM SX50. Would you like to see Ikshan taking motorsport as a profession? Motorcycle is life for him and he hopes of racing in the highest level of motorcycle racing competing with the best riders from across the world. Everyone in the family is supportive in what he does. Asked to Ikshan…Who is your role model? My role model is Marc Marquez.